Nordica took the all-day comfort and all-mountain versatility of the brand’s award-winning Speedmachine boot and fused it with the DNA of the world cup Dobermann race boot for the Promachine collection of all mountain ski boots. The seven-model lineup, three men’s and four women’s styles of various flex ratings, combines the comfort and versatility of Nordica’s award winning ‘Machine’ boot, line with the DNA of the Dobermann race boot series. 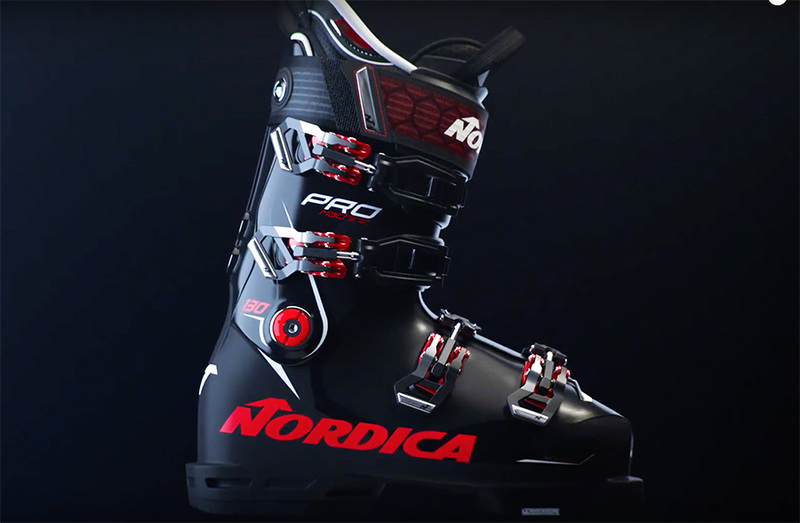 SGB sat down with Sam Beck, Director of Marketing and Communications for the Nordica Group, at ORWM 2018 for a closer look at the brand’s newest powerhouse ski boot, the Promachine. Can you give us a background on the development of the Promachine? Two years ago we launched the Speedmachine boot – our 100mm, at the core of the market, for the brand. Last year we introduced the Sportmachine boot, which is the wider version at 102mm last – medium fit/wide fit, and then this year we are introducing the Promachine boot, which is leading the pack. All three of the boots share similar technologies as far as customization features with our infared fit system and our tri-force frame construction. The Promachine has more frame for more power, precision, and we focused on taking the DNA of our Dobermann race boots and fusing it with the all-mountain comfort features of our Speedmachine. With a 98mm last, the Promachine boot delivers a performance fit with unparalleled precision. Going more towards performance, for men and women, the Promachine is designed to provide a low volume performance fit, with an anatomical shell and a rigid spine running up the back of the boot and a stiff sole, which both help transmit energy from the feet to the skis.”This is where the power comes from. This is taken directly from our Dobermann line. Tell us about the sole? 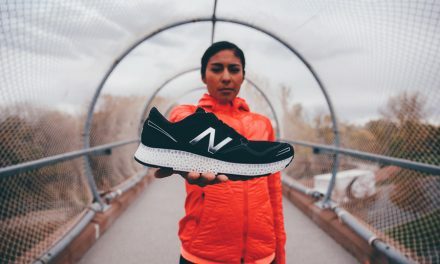 We collaborated directly with Michelin to create a sole that was inspired by one of their tires, and we up’d the ante on traction with fully-integrated GripWalk soles. And from a fit standpoint? The Promachine is all about a performance fit so that foot movements instantly transmit to the liner, to the shell, and to the skis. It’s built around a 98mm last, with a customizable anatomical shell and a customizable cork liner to accomplish that. Is the inside of the boot constructed differently from the outside to allow for the torque of your ankle? It is not so much about flex that way. The one thing about this boot is the ability to lock your heel in place. The heel pocket is critical and that’s the one thing Nordica takes pride in. In older boot models you had to do a lot of work to the boot in order to get it to fit comfortably. When you say “work” what do you mean? Taking the boot back into the shop, punching and grinding to get the fit right. 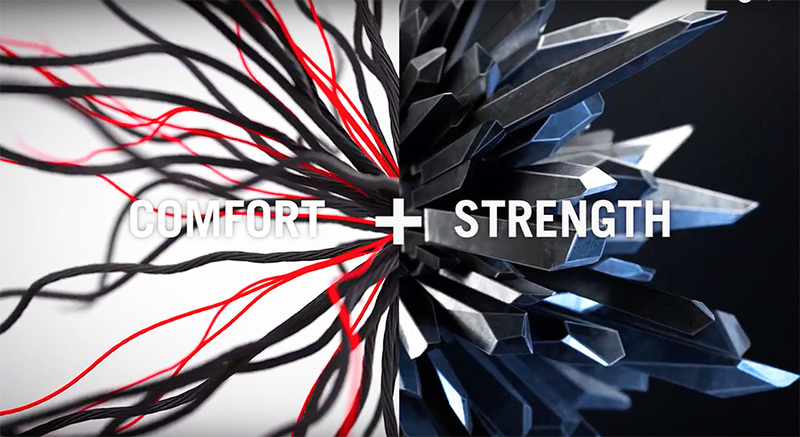 When you get into the comfort category, you give up a lot of the performance. The Promachine is about the balance between the world cup performance feeling with all the comfort you want when you are not on a racing course. Out-of-the-box, the Promachine is super comfortable but also at a very high level of performance. 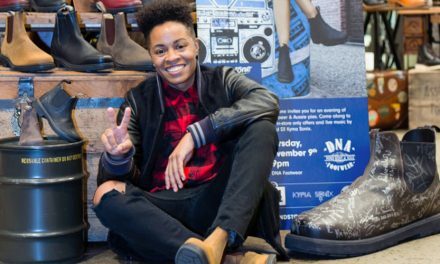 At the forefoot of the boot in the toe box, you actually have a more comfortable fit so you are not super tight in your toes, because that’s not where the performance comes from. Here we have a comfortable toe box with volume in the back that really locks you in for control. If you are a person that has suffered an injury, does the boot help you compensate for instabilities or weakness in your anatomy? That’s going to come down to the right width boot. 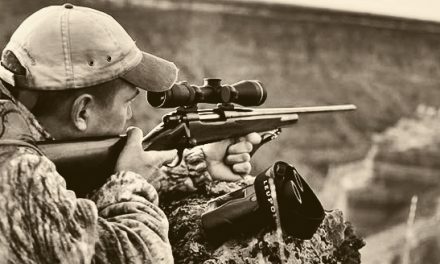 The worst thing we see is someone getting fit for a boot that is too big length-wise or width-wise and when that happens, you don’t have any control. Boots are plastic — hard and rigid material— and when someone puts their foot in the boot, if they are not in a custom boot, you want a level of snugness so that you have control. If you don’t have control, then your foot is slopping around, you are not in balance, you are not comfortable and if you are injured or have old injuries, then you are apt to not be able to control the skis, which makes more strain on your body parts. Does the ski play just as much a roll in stability as the boot? The ski is equally as important as the boot. What is something people may not know about Nordica boots? We pride ourselves on simplicity and performance. 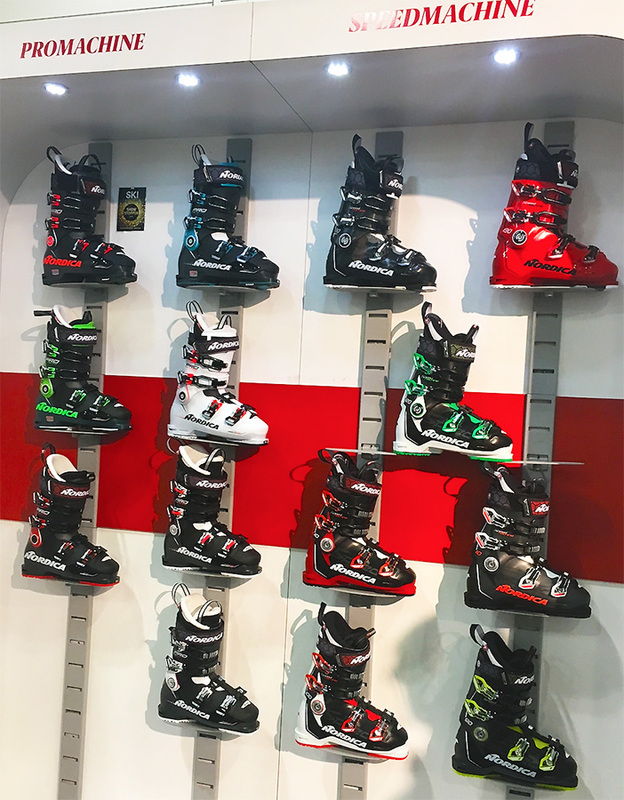 We offer three different boot collections – the Promachine, Speedmachine, and Sportmachine to fit low, medium, and large volume feet, and within those collections we offer a broad range of flex options, so expert, intermediate or beginning skiers can choose the boot for the level of performance they need and want.